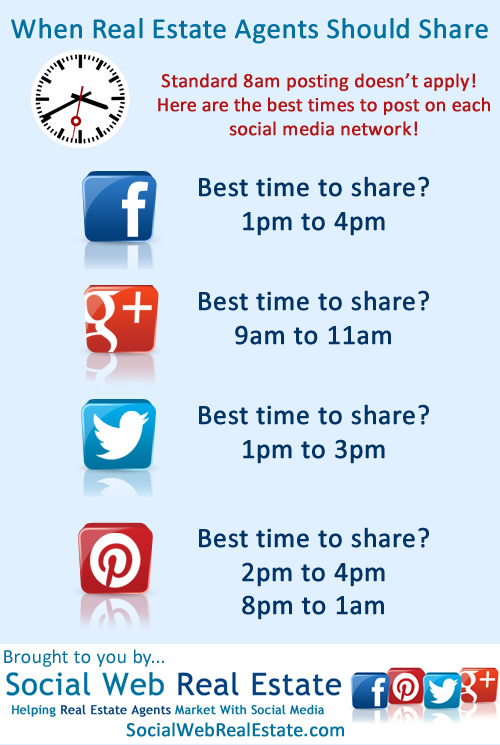 You are here: Home / Facebook / What are the best times for real estate agents to share on social media? Need a quick cheat sheet that shows when you should be sharing your new listings and other content on Twitter, Facebook, Google+ and Pinterest? We have you covered! 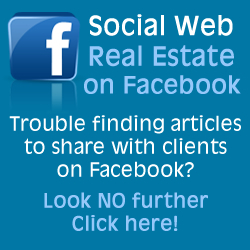 Feel free to share this with other realtors. And don’t forget we offer free mini-audits of your social media presence for your real estate business!